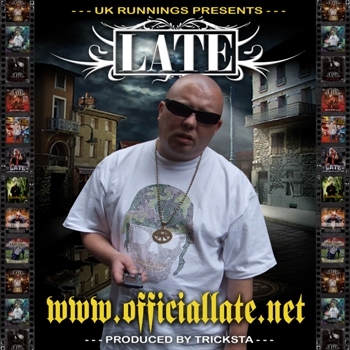 In 2010 LATE released the album ‘UK Rapscallion’, as well as an EP entitled ‘Street Product’ and an underground ‘best of’ called ‘From Tha Vaults’. Now we get this brand new release which is branded with the launch of this brand new website. This project is entirely produced and put together by his long time producer Tricksta of UK Runnings and is a collection of underground tracks, unreleased material, collaborations and exclusive remixes. The project sees LATE continue to talk on life issues and drop knowledge with some excellent guest features from the likes of Iron Braydz, Genesis Elijah, Supar Novar, Jai Boo, TBear, K9, Creamo, Streetz and Serocee.